Of all the architecture I especially appreciate federation style homes is certainly up there for being able to stand the test of time. The biggest downfall, if you can call it one, is probably the way these homes were designed. The design of homes has advanced so much further than the days of having a formal living and dining areas. A federation style home will have the main grand entrance hallway as you enter the home and various doorways leading off to different parts of the home. 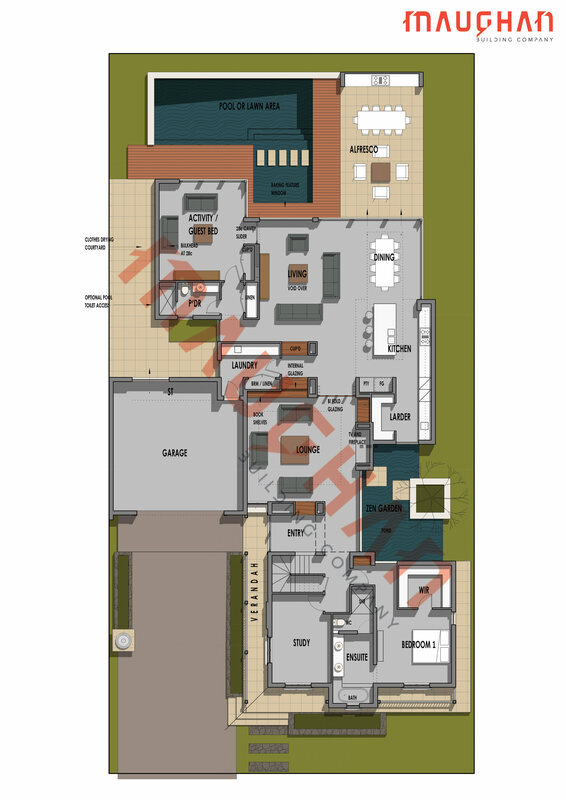 Traditionally these floor plans are usually never that efficient and the amount of floor area that is lost with areas that don’t quite have any practical function at all. 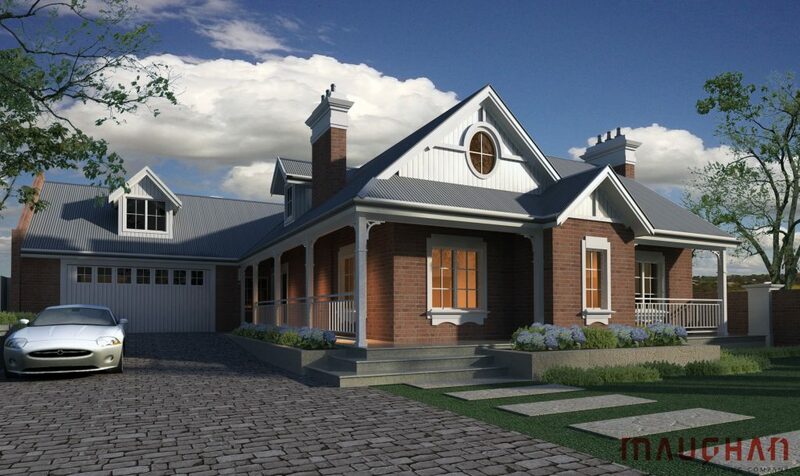 So what if we could create the best of both scenarios; having a traditional style elevation with detailed colonial windows and surrounds, grand fire places with stylish bold chimneys, large sweeping verandas with detailed timber posts and feature timber beams, striking face brick or even tuck pointing. How good would it be to have the strength and beauty of the traditional facade with the sophistication of contemporary internal living spaces, coupled with generous living zones separated by meditative water gardens that create transitions of serenity. Federation style homes that have been designed back in the day, or in present day, are almost never successfully designed to incorporate a passive solar design. Quite often the best you will see is a 3 meter veranda facing north as opposed to clever positioning utilising passive solar, as the winter sun needs to touch the glass. I grew up in the Wheatbelt in a huge traditional style home and a grand veranda straddled the east and northern perimeters. This was fantastic in summer, I won’t deny, but come winter, OMG that home was freezing!! We would have the main fire place blazing away burning malley roots we had picked directly from the paddock. Thankfully for you, nowadays we are designing a lot more efficient homes, as there is nothing worse than coming home on a sunny winter’s day and the home is cold and dark. With this design the use of natural light to enhance all aspects of the layout, an efficient design is essential, even in areas like the kitchen. Whilst the kitchen may look like a federation kitchen it may not enjoy the benefits of a modern style home. We can mix and match to suit your wants and needs. For example, we can include a federation style elevation but a modern kitchen. Alternatively we can keep the internal theme of the home to complement the outside. I can hear you say; this sounds a bit risky. The biggest design fail is when you try and do what we call a mock elevation and the devil is in the detail. If you do a federation elevation or colonial elevation and say you put jarrah floor boards through the home for example, then the modern kitchen won’t look ridiculous. But here’s the thing; if you do a traditional federation kitchen cleverly they will become timeless for decades. In essence, you are dancing a line and the best analogy I use is, it’s like building a pizza, less is more. It’s no different when designing federation style homes and including contemporary style living with the floor plan being practical, functional and stylish, whilst complimenting and respecting architecture from a bygone era. Funnily enough, of all the plans I look at, generally the simpler the plan looks the more functional it is. Federation or traditional style homes are no different and the key to building any successful building project is design as this takes precedence over everything. The only way that you can truly get a successfully design is talent, and talent doesn’t mean qualified, because there is a big difference. So how can you differentiate between the two? Well that’s where it becomes tricky and the best advice I can give you is get references and ring them. In fact, before you engage anybody always check them out properly or engage us because as arrogant as this may seem, we are genuine professionals, I boast that my design team matches with any in those in the design and construct realm. Before your new homes goes to contract it has been exposed to more than 100 years of experience, I have selected my team carefully and it’s not by chance that the Maughan Building strives for excellence, as it’s in our DNA if you like. Federation style homes are no different. You might say federation and you just allow some face brick, a tin roof and paint all the timber beams white but that is not true federation. Like any style of homes there is so much more and giving your project a subtle twist is going to look classy and timeless. If some of what I have said resonates with you, this is some of what we can offer you at Maughan Building Company when looking for a stylish Federation design. When you choose to build your home through Maughan Building you’ll never look back. Our commitment to delivering a Federation with a unique style that’s individually tailored to meet our clients’ needs is second to none. We will always be at the end of the phone for you or ready to meet in person and you won’t be left waiting day after day for answers to those all important questions. If a federation design custom built home is what you are after, I ask you to consider Maughan Building Company, it costs nothing to chat. We also offer a standard federation design that saves you money and time. You can find details here. 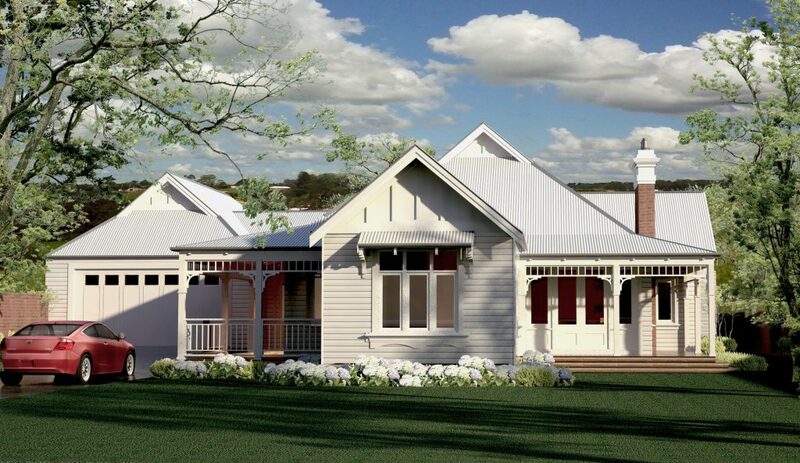 At Maughan Building we are a boutique Perth home builder of custom homes including Hampton Home Designs, Tuscan Home Designs and many other contemporary and modern home designs. For an obligation free consultation call us today and we’d be delighted to sit down with you over a coffee and discuss your dream home, it costs nothing to chat.